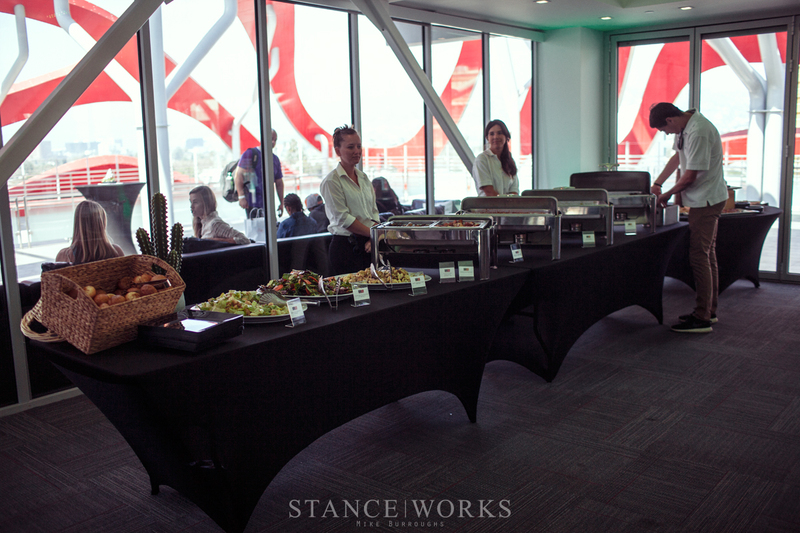 When it comes to cars here at StanceWorks, it seems as though we let them saturate every segment of our lives. From the work day spent writing articles and photographing automotive creations, to the shop talk that takes place after, and from the project builds that tend to consume our spare hours, to dreams that consume the night - it's cars from bottom to top. Even when flopped on the couch, chances are, you can find us on the digital race track, and thankfully, we've got the latest in the Forza Motorsport franchise to enjoy. 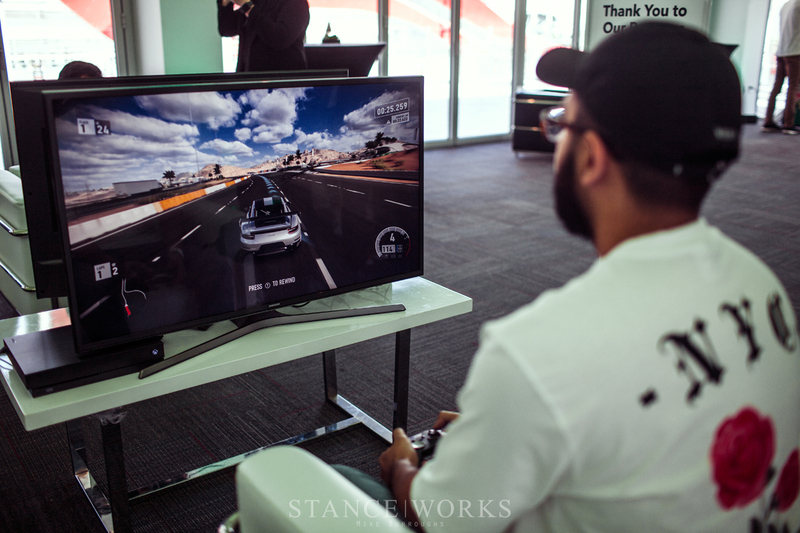 On Saturday, we attended the launch party for the all-new Forza Motorsport 7, and needless to say, we're already hooked. 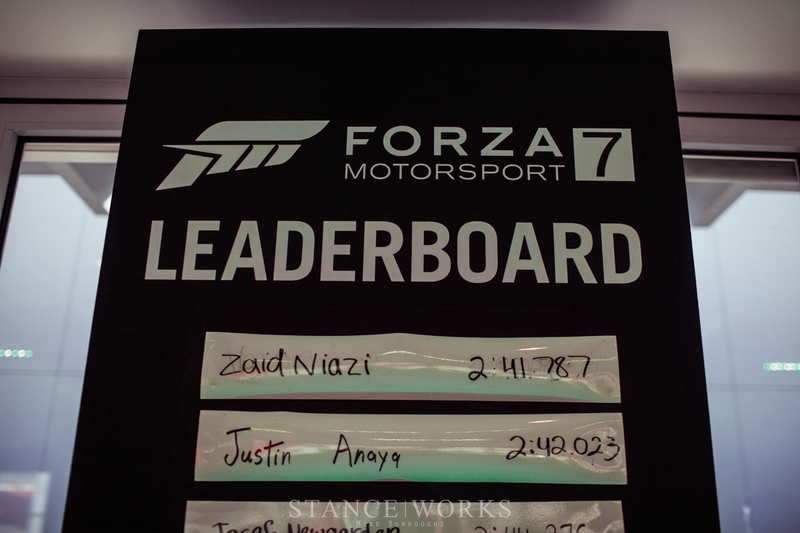 The Forza Motorsport series has always been a personal favorite. Of course, I grew up on Gran Turismo, as it seems most of us in our late twenties and early thirties did, but it was the original Forza Motorsport that captivated me, striking each of the balances that a racing game needs in order to succeed. 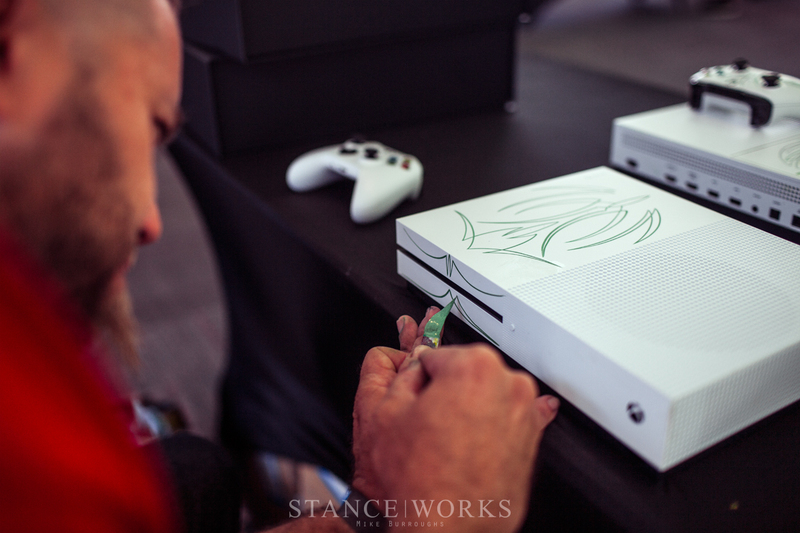 Now, years later, we're celebrating the launch of the 7th game in the series for the Xbox One, One X, and PC. 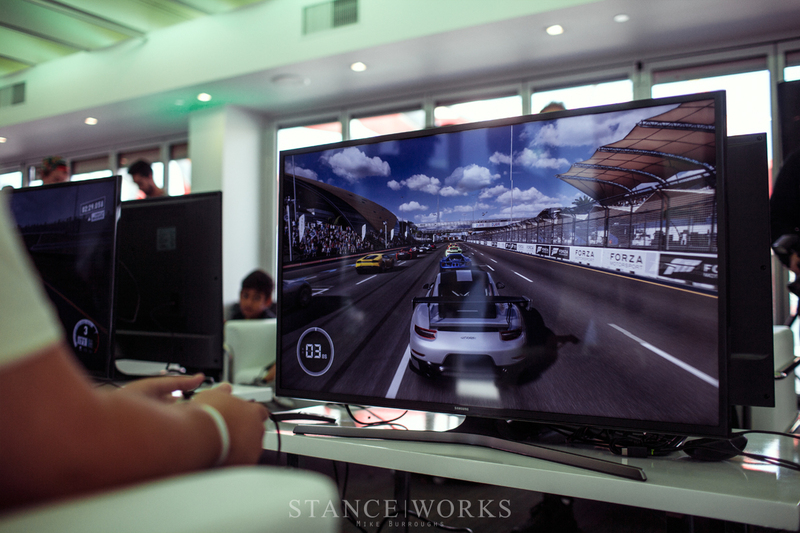 We were invited to the Petersen Auto Museum's Rooftop Penthouse & Terrace, where a slew of gaming rigs were set up to show off Microsoft's latest and greatest. 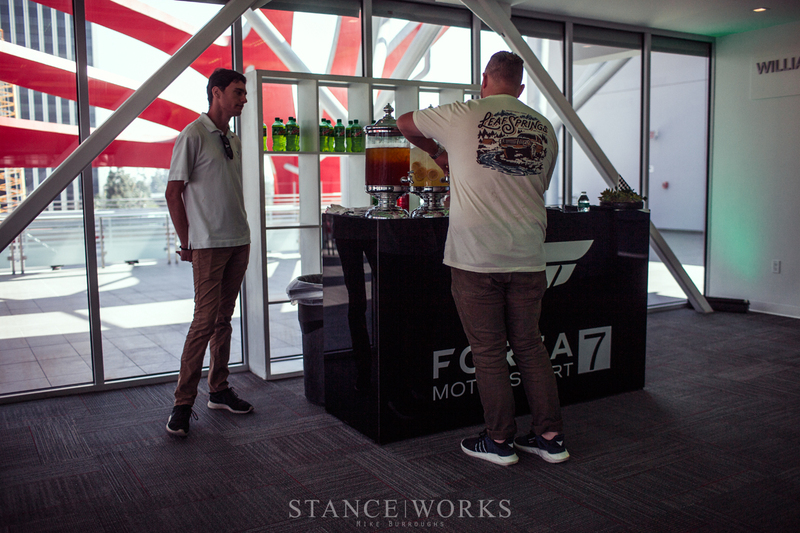 Drinks, food, and good music all made for a great event, but it was the opportunity to play Forza Motorsport 7 on the Xbox One X that had us most excited about the event. In stunning 4k resolution, the game is as incredible as one might expect, both visually and in playability. 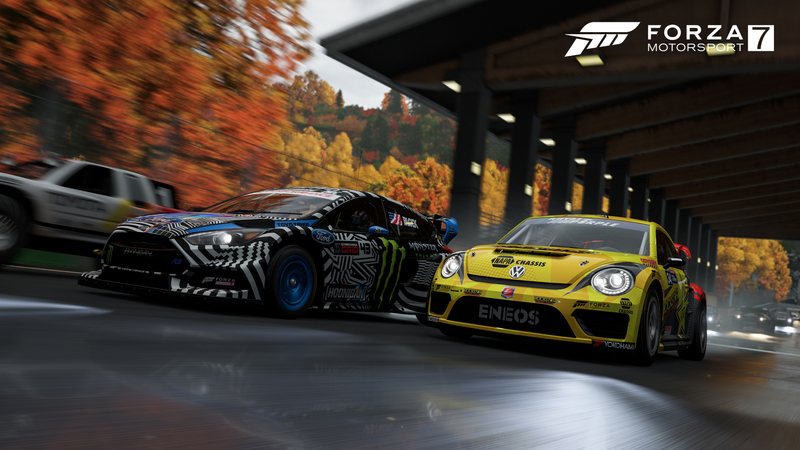 It's a welcome improvement in every way to Forza 6 - and this weekend, you can read up on our full review of the game itself. 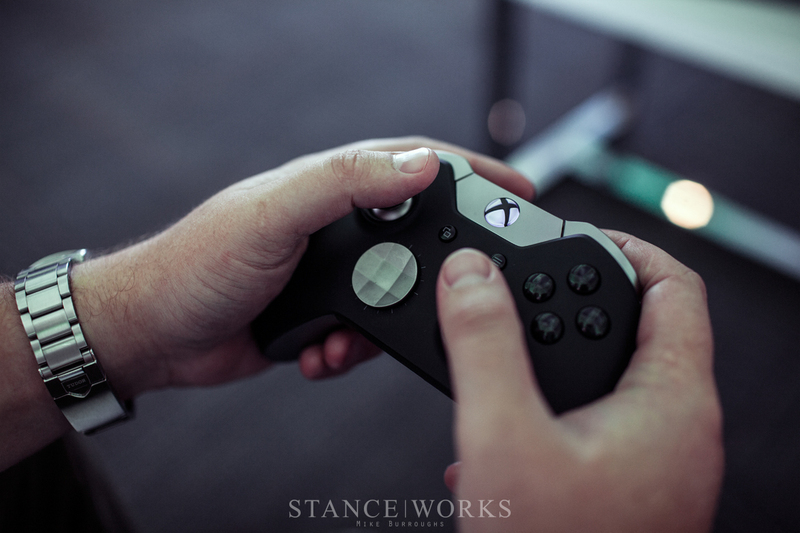 We've had our hands on it for more than a week now, and while we've enjoyed it thoroughly, we'd be lying if we said we weren't even more eager to play it on an Xbox One X of our own. As attendees, we were given a tour of the Petersen Vault, and then some, to see all of the cars the museum has on hand. 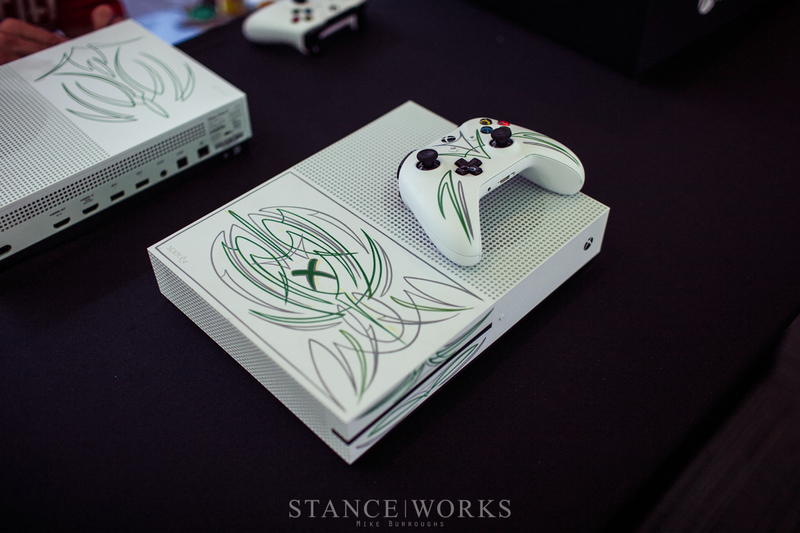 At the party was a pinstriper, hand-painting Xbox One Ss and controllers in the famous Xbox colors for attendees to take home. 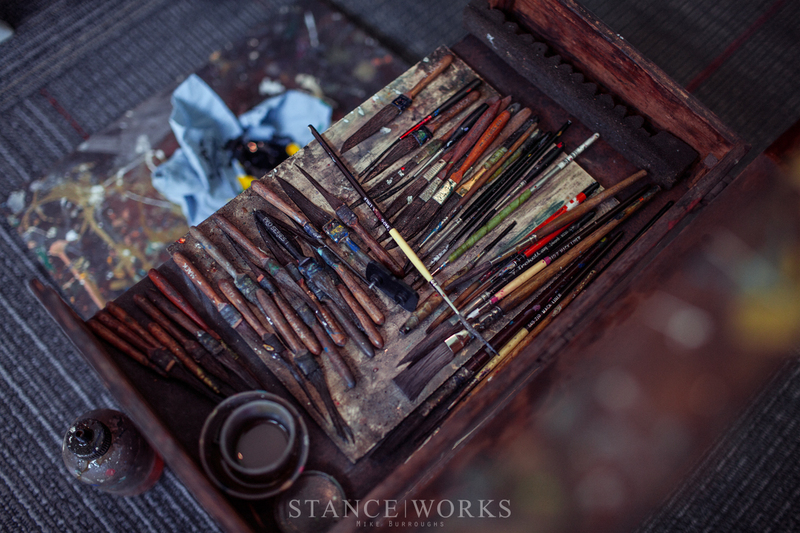 Each machine is completely unique, making for an incredible souvenir. 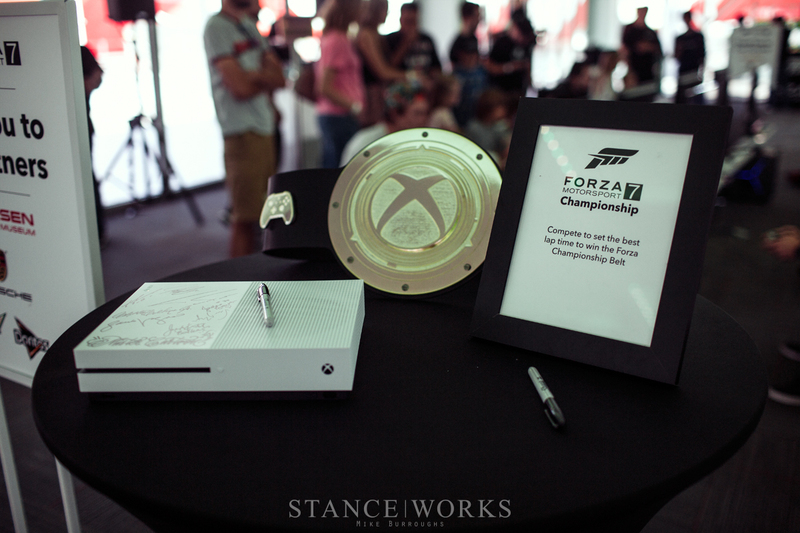 Adding to the event festivities were a number of competitions: a car show, an Instagram contest, and of course, a time-attack competition on Forza 7 itself. Jeremy Whittle, Hoonigan's Hert, and I gave it our best shot, landing at 4th, 5th, and 6th respectively on the leaderboard after two attempts each. It was an intense battle back and forth, good for a few moments of incredible fun. 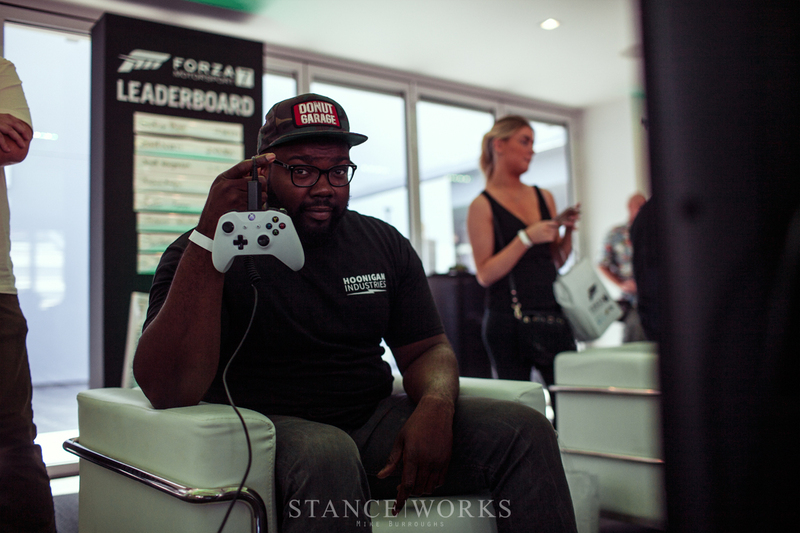 Not wanting to hog the consoles too much, we moved on, but watched as a few guys dedicated hours on some of the machines, besting each others' times over and over, bringing the winning score down to a lap of 2:41 on the full Dubai circuit. 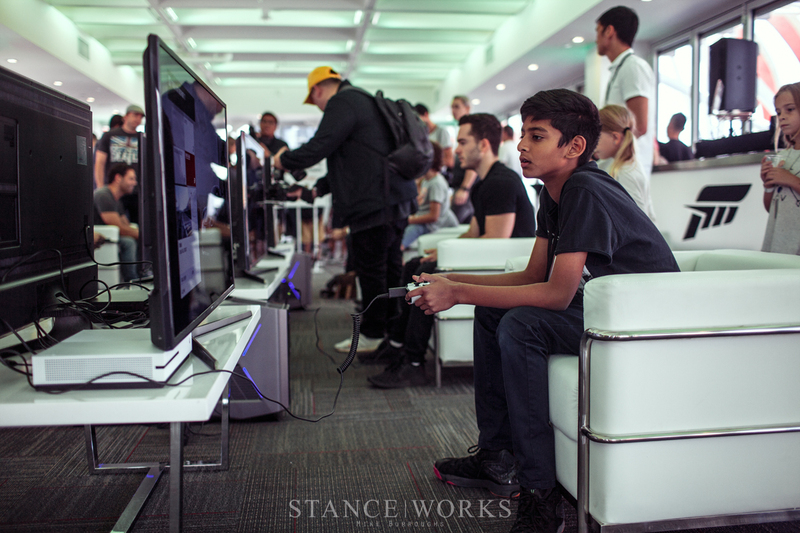 The event made for a great celebration of a great new game - one we're excited to sink hours into in the coming months. So grab a copy now that it's on shelves, and catch us on the track. 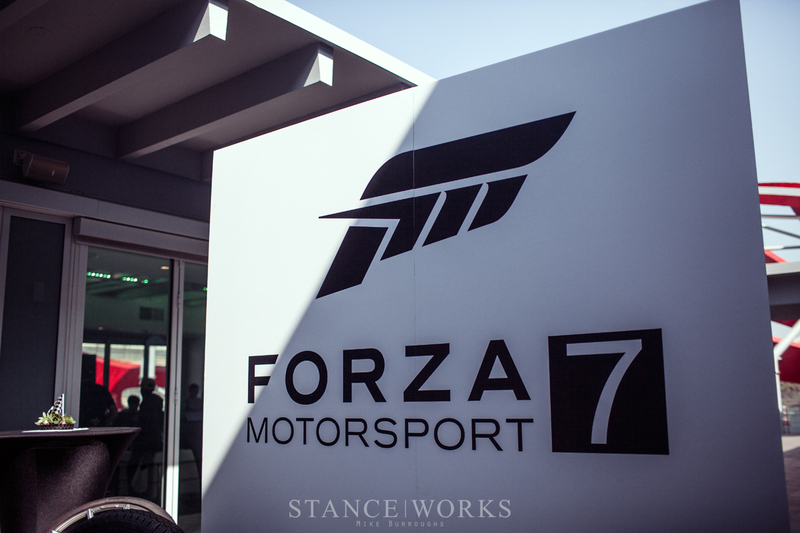 And if you you're still deciding about whether Forza 7 is for you? Check back on the homepage soon for our complete Forza Motorsport 7 review.